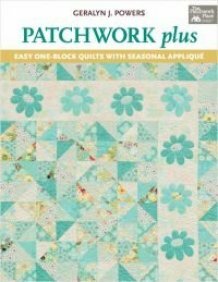 Mark your calenders for the Celebration of PATCHWORK PLUS for Geralyn Powers!!!!! We will be having more details on the book signing celebration for Geralyn Powers' new book coming out in September 2013. 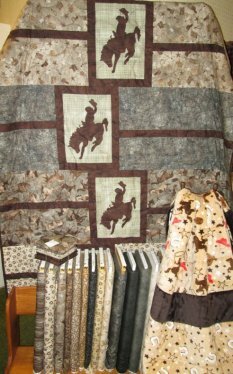 The Boxtrot pattern is versatile and complimentary to our Wyoming Cowboy. 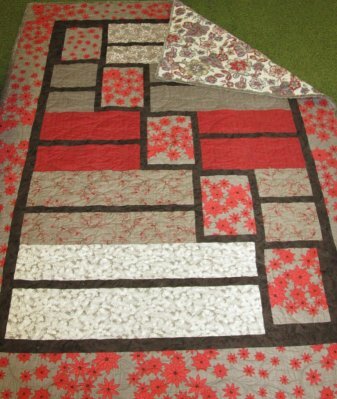 A simple and fast quilt to make. 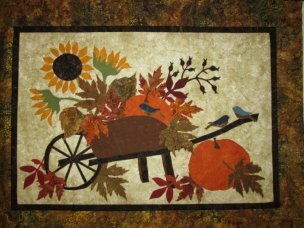 This wallhanging is full of Fall and is gorgeous! Pumpkin Wallhanging. Great dimension is added with the leaves and of course it must have some bling! 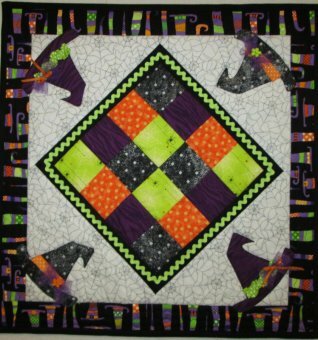 Fun Halloween Fabric. Great to make the kids a pillowcase they can sleep on and then on Halloween, use it to get your candy! Use this as a wallhanging or a table topper for Halloween. Isn't it so cute? 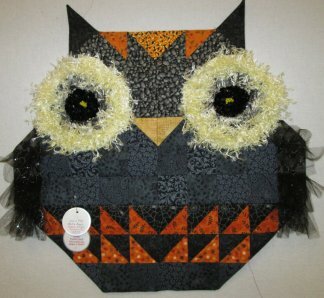 Hootin Annie - Owl Wallhanging. 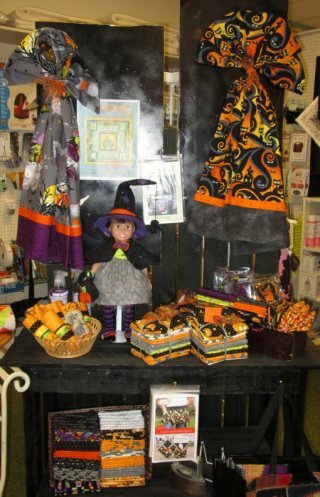 We have the pattern and all the accessories for you. 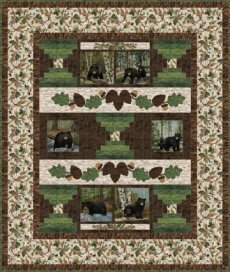 The colors on this quilt are rich and the back which is Minkee matches the front perfectly! This pattern is the Boxtrot again but has borders. Cute Owl Flannel. 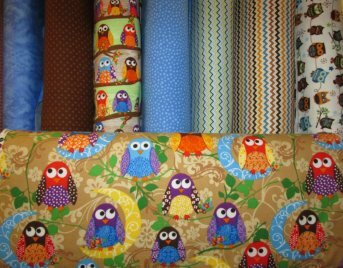 Perfect for a baby quilt or receiving blanket with matching burp clothes! 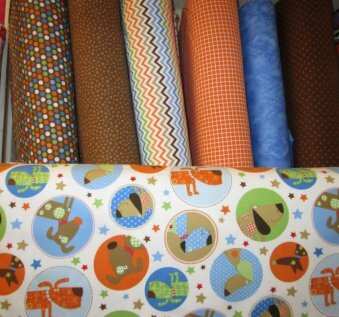 "Dog Gone Cute" Fabric. Great for those baby items! 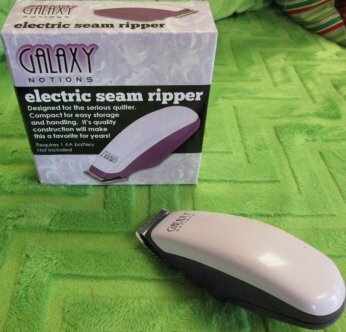 "Electric Seam Ripper" Designed for the serious quilter. Compact and easy to store and handle. It's quality construction will make this a favorite for years! 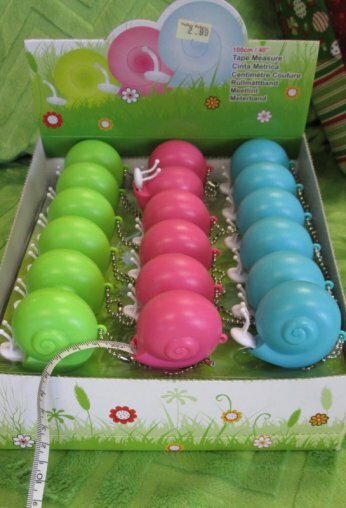 Snail shape tape measure comes in 3 colors and a must for the collector. Every quilter needs a quilty USB port. One of a kind!